Everyday environments always have been highly thematic. We immediately recognise a Venetian Gothic Palace, an Amsterdam Canal House, A Georgian London Terraced House, or a Pompeiian Courtyard House as members of particular form families, inseparable parts of the urban fabrics that where shaped with them. Other built fabrics, on first sight, may seem chaotic and difficult to read, but on closer scrutiny we always find thematic aspects. Every culture has its own conventions, habits, and ways of working and using. In the past, biased Western observers thought traditional Middle Eastern urban environments unorganised while, in fact, they have a highly structured thematic complexity. The architectural themes which we may find can have different names like pattern, type, style or system. As in music we recognise a theme by what is constant in the variations that we hear or, in this case, see. Form-themes are what designers operating in a same location share, while the individual variations are their own. The balance between theme and variations is the most fascinating aspect of any built fabric. 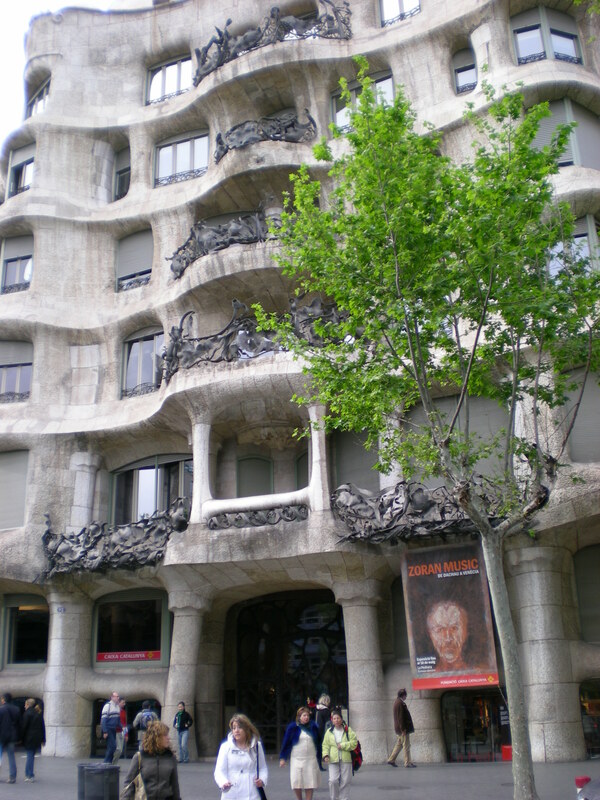 Antonio Gaudi’s famous apartment building “La Pedrera”, in Barcelona, is rightly considered unique. But it is also part of the famous 19th Century Barcelona fabric. Like most other buildings in that neighbourhood, it has ground floor spaces that are accessible from the street for shops, work places and offices, a formal carriage entrance that penetrates the building and leads visitors to an open stairway which leads towards the main floor above, and service courtyards that bring light in the back rooms of the apartments. Moreover, building height, floor heights and bay sizes are comparable with those of the other buildings in the neighbourhood and thereby maintain a consistent architectural scale. In short, Gaudi’s contribution fits into the urban fabric that it is part of as much as it stands out. Cultivation of everyday environment implies designing with themes. This demands particular skills and ways of working. How to find a good balance between theme and variation, between what we share and what we do individually? How do themes come about? How to decide, for instance, on the consistent adoption of a building type or entryway pattern, or familiar issues like set-back rules and hight restrictions? Is it by top-down rules, collective ad-hoc agreements, or implicit common understandings among designers? Often a single higher level design offers a shared context for many lower level designs and by so doing sets thematic constraints for them that are considered reasonable and representative. Urban design, for instance, makes a shared context for individual architectural designs assuming they will follow certain architectural types or patterns. In a similar way a base building design makes a shared context for individual residential units of a certain kind. How do we know if a higher level design offers the right context for lower level design preferences? How do we inspire lower level variety? All such questions have to do with relations among designers. Those who work in a same location relating ‘horizontally’ on the same level of intervention, Those who relate ‘vertically’ from different levels of intervention: looking upward to inhabit and honour the context shaped earlier, or downward to frame and stimulate the actions of those who come in later. These relations are relations of forms; forms sharing certain aspects, forms interpreting a given context, forms setting context for others: All designing is intervention and each intervention triggers response, change of form is the language we share.